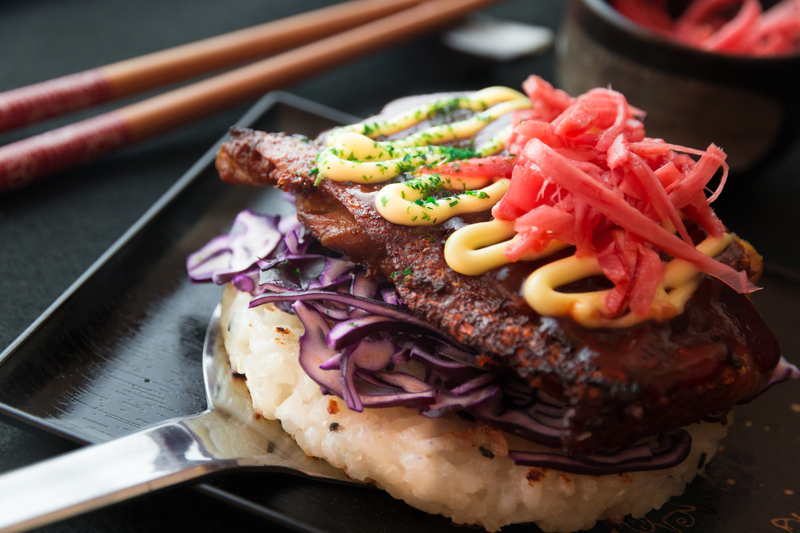 Chris Evans is the founder of Sticky Bundits, a street food stall serving innovative tasty sushi burgers at markets across London. Back in 2015, him and partner Munish decided to ditch the day jobs and they've been cooking up some of the most interesting 'burgers' you'll find ever since! We caught up with Chris for a chat about the inspiration behind his decision to get started in street food and picked up a few tips on how to get into the scene. Hi Chris, so what inspired your decision to go into the world of street food? I had been a Primary School Teacher for 10 years and was looking for something different. I'd always wanted to run a business and food seemed the obvious choice. Street food was even more obvious given its democratic nature and relatively low setup costs. Why did you specifically choose sushi burgers? 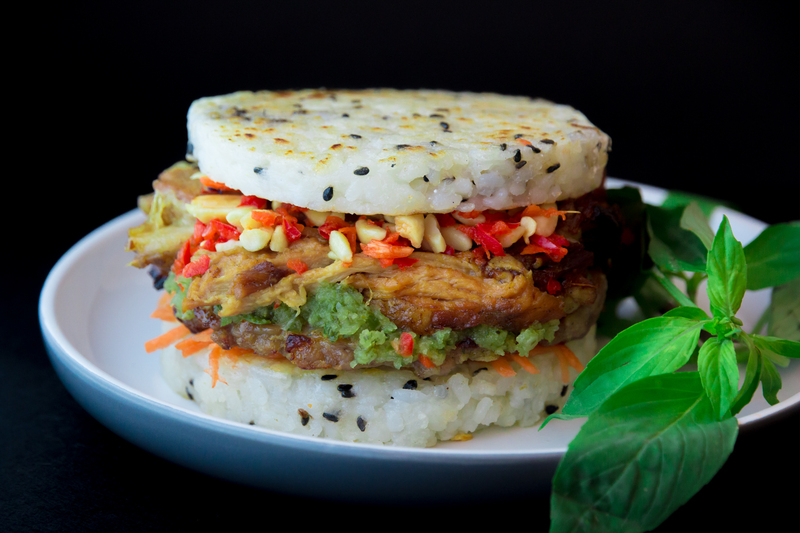 I wanted to do something unique and remembered the rice burgers from when I lived in Japan. I hadn't seen them over here so it was the perfect choice. 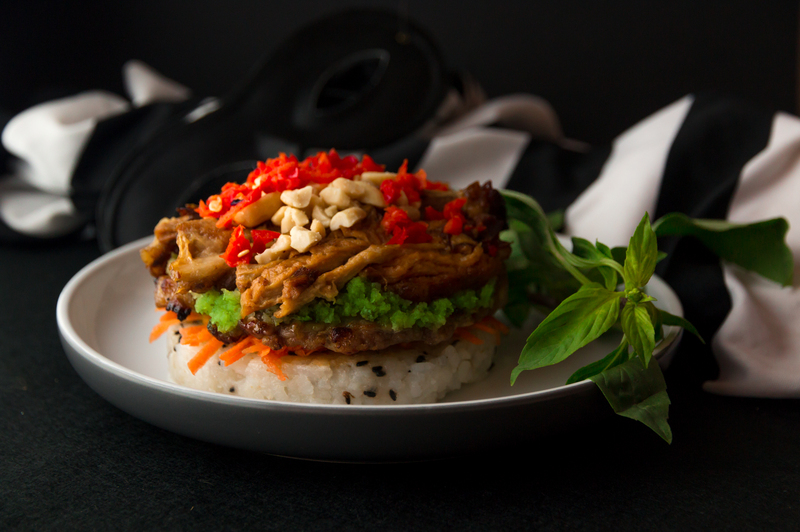 Coincidentally 6 months later 'sushi burgers' became a new food craze in the US, which helped us to ride a wave. Our two main dishes are based on my favourite dishes from my travels in Japan and Vietnam. What are the most important things to bear in mind for chefs looking to get into street food? Keep it really simple and be able to explain what you do in about three words. Whatever you decide to do, make it the best. Seek out the best recipe or combination of ingredients/components or just something that hasn't been done before in the UK. I wish I'd known that there are plenty of opportunities out there and you should never get fixated on one market or opportunity. Why do you think that the London street food scene is thriving to such an extent at the moment? Street food is opening people's minds to food from all over the world and each trader has put their heart and soul into basically one dish. You can taste that passion in the food so if you go to a place where there is street food, you can expect (on the whole) quality. Are there any other food trends that are particularly exciting you at the moment? I'm trying to look at my sugar intake at the moment so I'm inspired by the ways people are replacing it in recipes. I've taken it out of our rice buns and half of the menu, with no noticeable difference to taste. I think this is one of the most important food-related issues we face. Do you have any street-food related funny stories? I have a tragic one. The first time I ever used a prep kitchen, I had no clue what I was doing and was on my own. The only slot I could get was an evening/night shift and I'd never cooked in such quantity before. The first few hours was spent figuring out how to use the new-fangled equipment. Then I got stuck into the food and the hour hand kept spinning away. I was panicking as I had a day of supply teaching the next morning yet there was so much to do....rice buns to press, meat to cool down and the kitchen was a tip. At 4am I conceded that I was not fit to teach so made up something about kidney stones and sent the required text. At 6am the kitchen was vaguely clean except for random rice grains encrusted about the place, so I went to reload the car. That's when I realised that my car was blocked in, in the tiny car park. There was no way I was getting out so I had to kip on a mouldy sofa outside the kitchen door until someone came in at 10am. What's the best tip you ever received? Think outside the box when trying to get street food markets to give you a pitch. Emails are a waste of time. And finally, what's the most delicious thing you've ever tasted? Too many to mention, so I'll try a few......Mole in Mexico, Bun Cha in Hanoi, Okonomiyaki in Japan. Closer to home, the best roast I've ever eaten was made by Gaz from Sub Cult in one of their pub residencies. Where can we find Sticky Bundits? We're trying to find a home, so best thing is to follow us on social media @stickybundits. 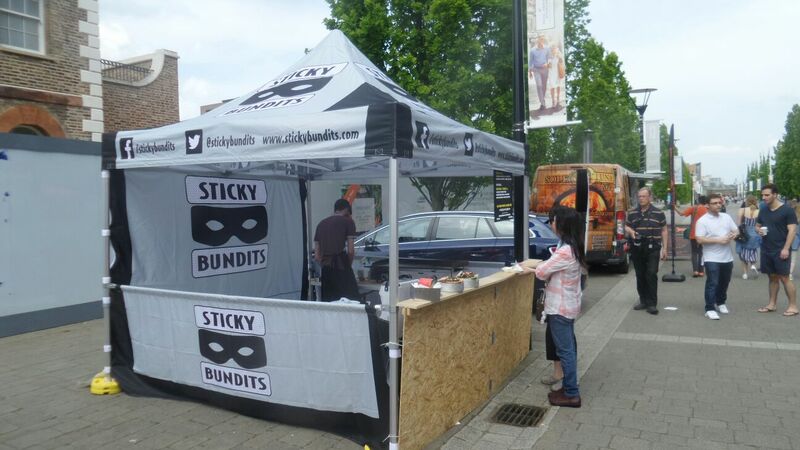 If you want to book Sticky Bundits for your event, whether that be a wedding, office party or just about anything else you can see their profile on Feast It here.